Virtual Office Mobile | 8x8, Inc.
Get started by downloading the app for your Android or iOS device from your app store. Open the Virtual Office mobile app and log in. Need help finding your username and password? Click help. Virtual Office Mobile gives you all the functionality of the desktop app in the palm of your hand. 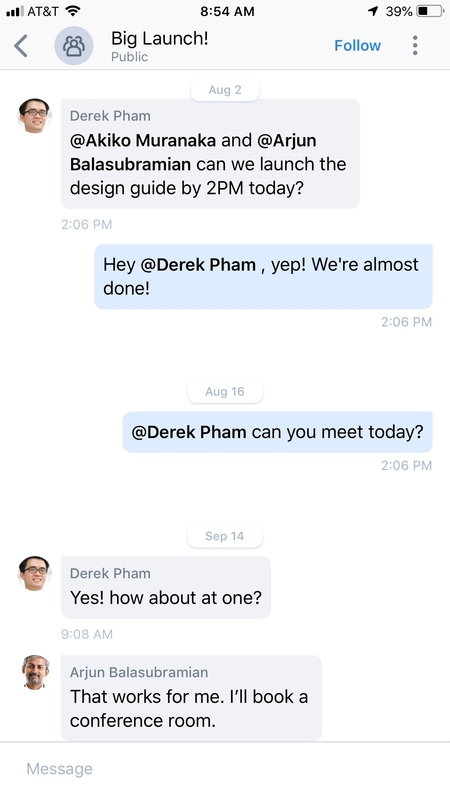 The mobile app opens in the Messages view. From here you can easily send and receive messages or navigate to Calls, Contacts, Meetings and More. 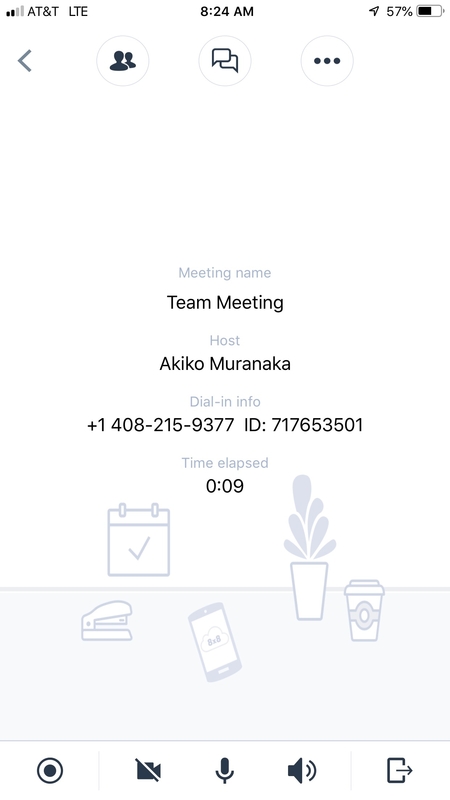 Virtual Office Mobile lets you join and schedule meetings. You can Invite colleagues to join your meeting, chat with meeting participants, record audio and share video. Tip: You can schedule your own meeting on-the-go in the “Host Meeting” tab. 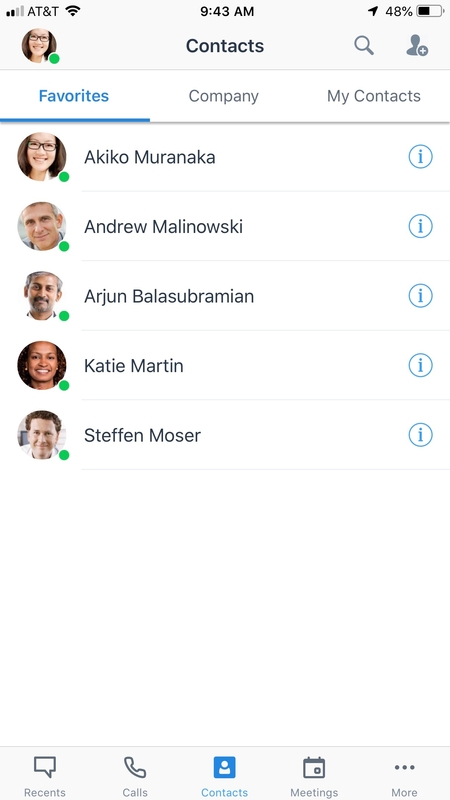 Easily send messages to your colleagues either one on one or to a group of people with Team Messaging Rooms. 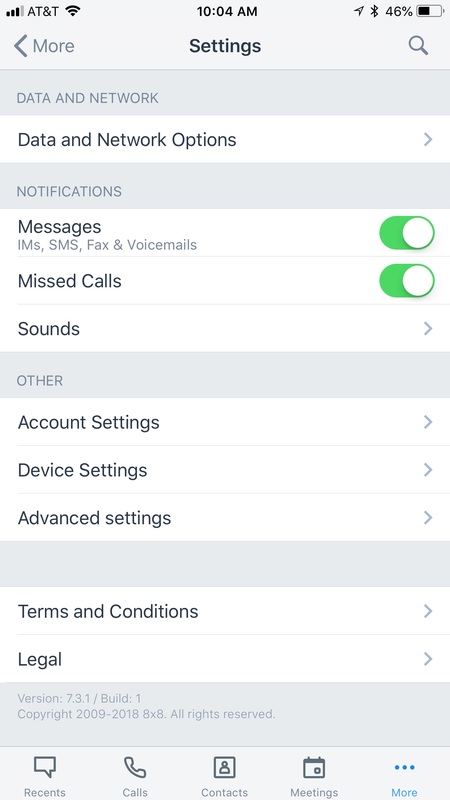 Settings gives you the flexibility to set notifications and call preferences.